How many people can say that their jeweler flew half way around the world to hand pick the diamond that symbolizes their love? An amazing diamond comes from an amazing place; Antwerp, Belgium -- the Diamond Capitol of the World. Each April and October Mark travels over 4,000 miles to hand select diamonds in Antwerp, Belgium for our customers back in Maple Grove. With his connections overseas, Mark is able to cut out the middleman, and save money in the process. With this elite service, Mark hand-selects diamonds to meet the exact specifications of each customer and passes his savings on to you. 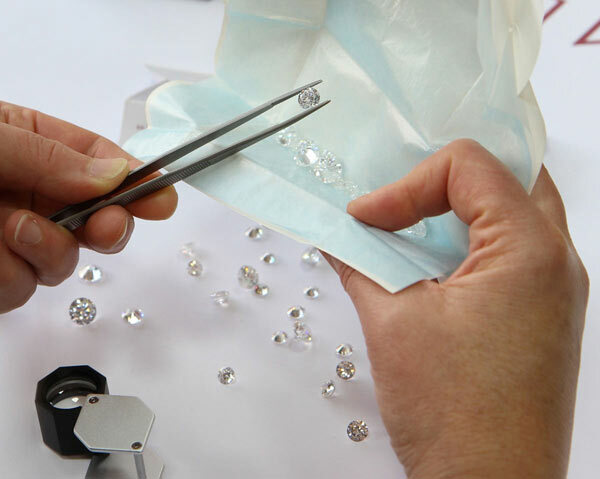 In Antwerp Mark goes directly to the best diamond cutters in the world and carefully examines hundreds of diamonds before hand selecting those with the most brilliance and sparkle. We proudly comply with the Kimberly Process, which prevents conflict diamonds from entering the diamond trade, and by doing so, we are able to import conflict-free diamonds into the United States. From the earth, to the cutter, to you–no previous owner, no stops along the way, your Antwerp diamond is truly a one-of-a-kind gem waiting just for you. Mark leaves April 13, 2019 and is now taking pre-orders from customers who want a hand selected, beautiful diamond at the best price.